ALTERED SKY - Return Today With an Anthemic New Single and Video "Surrounded"
Scottish alt-rockers Altered Sky return today with an anthemic new single and video Surrounded. After establishing themselves with a melodic pop-punk sound on previous releases, the new track sees the Glasgow band exploring heavier and darker songwriting. 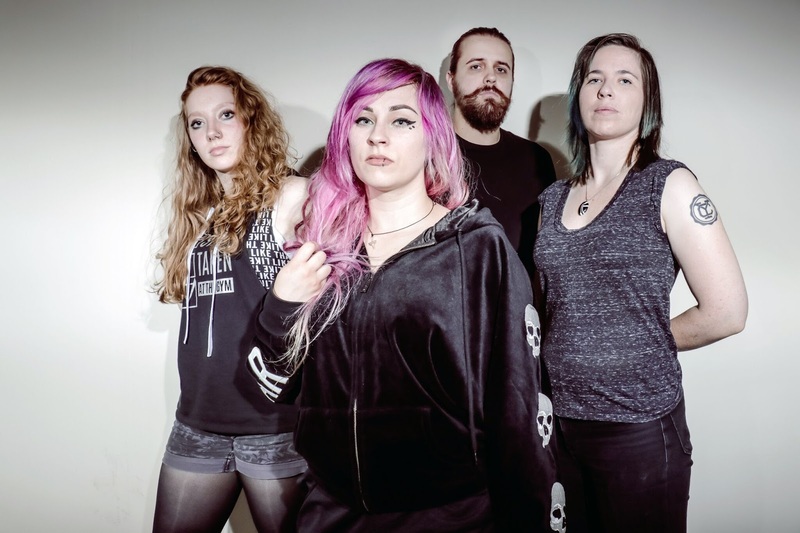 "This is a very emotionally-driven song, bridging the gap between our old material and our newer, heavier stuff” explains frontwoman Ana Nowosielska. “Lyrically, it's about knocking down those walls that people put up around themselves when they're feeling isolated and trapped." The band have announced a run of UK shows and you can find more details/ticket info at alteredsky.com now! Since forming in 2010 Altered Sky have toured hard and blown away audiences in the UK, Japan and the Philippines - as well as supporting The Wonder Years, State Champs and Neck Deep and slaying festival stages. With widespread rock media support from Kerrang!, Scuzz TV and Total Rock Radio, they’ve built a loyal fanbase and are now evolving into heavier, more expansive territory.